In the early '80s, Voyager did a flyby of Saturn's moons and sent us back some tantalizing, but garbled, photos. Now, those same pictures are giving us one really great reason to feel pretty good about just what we might be able see in the next few decades. Those same areas captured by Voyagers cameras, were recently remapped by Cassini's much more powerful cameras. NASA has overlaid the original images with the newer ones, which you can scroll between below. 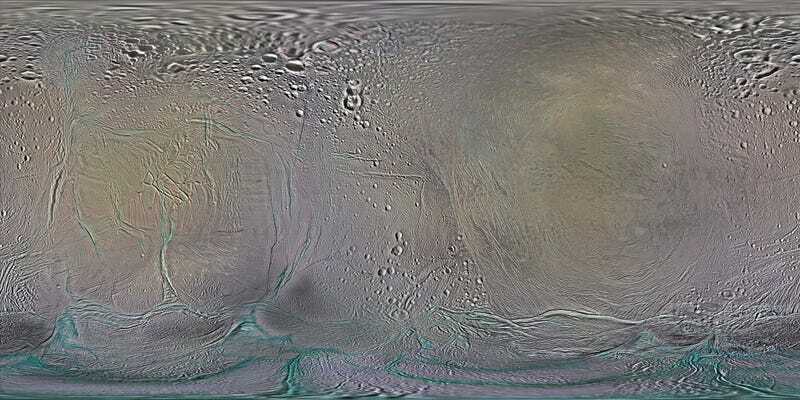 In just 30 years later, we've gone from maps with large blank spots to being able to not just see Saturn's moons but to see what's happening there, to being able to chart the patterns of dust on the surface, and to tell which areas are more thickly coated in ice. Who knows what the next 30 could bring?